A new month, and plenty going on to tickle your fancy in Hobart. Let’s have a look, shall we? A trip to the outdoor cinema is one of the best ways to spend a warm summer evening, don’t you think? The organisers of Gold Grass Cinema certainly do, which is why they’re returning to Hobart this February for a couple of awesome screenings. The idyllic Rosny Farm provides the setting, as well as a fully licensed bar with plenty of popcorn and snacks. Hot drinks and desserts are available courtesy of Moto Vecchia, so all you need to bring is a blanket, deckchair or beanbag to park yourself on. As for the films? The theme is 80s classics, with Stand By Me on Friday and The Dark Crystal on Saturday. Take your pick, or head to both – you’re guaranteed a great night either way. The Tasmanian Tattoo and Art Expo is returning for another year, so roll up your sleeves and prepare to show off your… well, sleeves. Australia’s greatest tattoo artists are descending on the City Hall for three whole days, including Studio 179’s Kade Strochnetter, The Body Art Shop’s Emma Mere, Collective Ink’s Jamie Sunday, Elite Tattoo’s Tegan Drexel-Munro and Neil Braithwaite, and Aidan Stafford from Prestige BodyArt. There’s also live bands, burlesque, wood carving, retail stalls and tons more to keep you busy, so it’s well worth a look. Time for a bit of maritime merriment now, as Hobart is all geared up for this year’s world-famous Australian Wooden Boat Festival. It’s the biggest collection of beautiful wooden boats in the southern hemisphere, ranging from dainty little sailboats to mighty galleons. And that’s just the start! The festival also features a full set of events across four days, from the Maritime Marketplace to Blundstone Shipwright’s Village to the ANMM International Wooden Boat Symposium. Admission is free too, so you’ve basically got no excuse not to check it out. If there’s one thing better than a symphony, it’s a symphony under the stars! The Tasmanian Symphony Orchestra is all set to rock Tolosa Park from 7pm onwards on Saturday the 18th of February, with special guest stars Amy Dickson on saxophone and Jessica Cottis conducting. Anyone who’s witnessed the orchestra before will tell you you’re in for a real treat, and the party-picnic atmosphere only makes the music better (science). 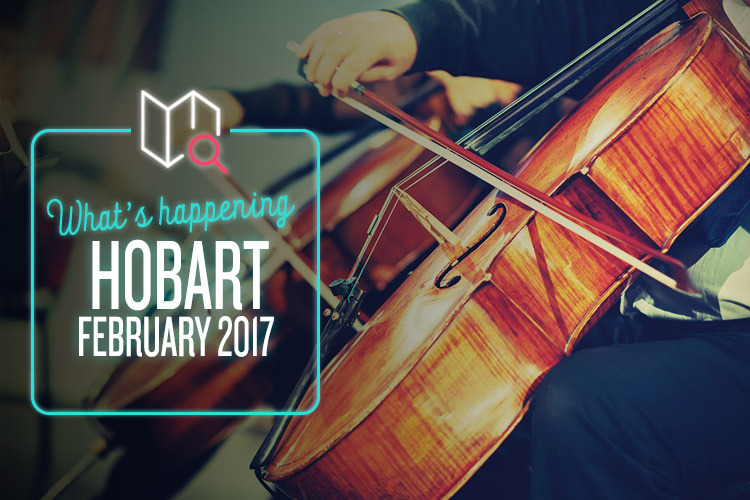 It’s completely free to attend, and you can even catch the Tasmanian Youth Orchestra in action if you head down early. It’s a fantastic summer experience, so don’t miss out.